Uhhhhh, as I was saying, uhhhhh. KNOCK IT OFF BACK THERE! 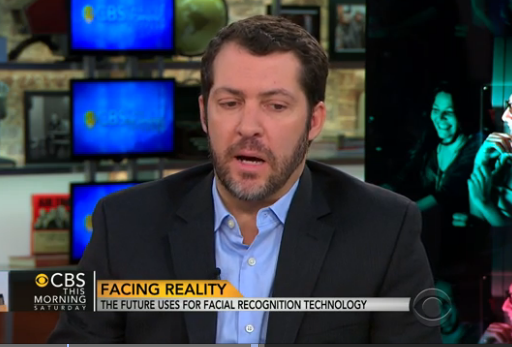 I appeared on CBS This Morning yesterday for a segment about emotion-recognition software being used to test advertising and the like. Why me? Because I am awesomely brilliant, work for an ad magazine and was willing to wake up at 5:30 on a Saturday morning. You’ll notice that when I first start talking, I’m kind of rambling, perhaps losing my train of thought. It’s not because I was nervous. I usually do get nervous for these things, but I was feeling pretty at ease at this point. No, what happened was that Rana’s hair was hitting her microphone. None of us on camera could hear that. And they couldn’t just stop the segment. So after she stopped talking, there were a couple of people immediately off camera and in my line of sight jumping up and down, pantomiming and basically playing a furious game of charades to get Rana to flip her hair off her mic. And I was just trying to remember what the hell I was talking about. Next Post Mais! How You Say Dat Word?